Solitary Springbok male resting in the dried open pan opposite the Samevloeiing Water hole. 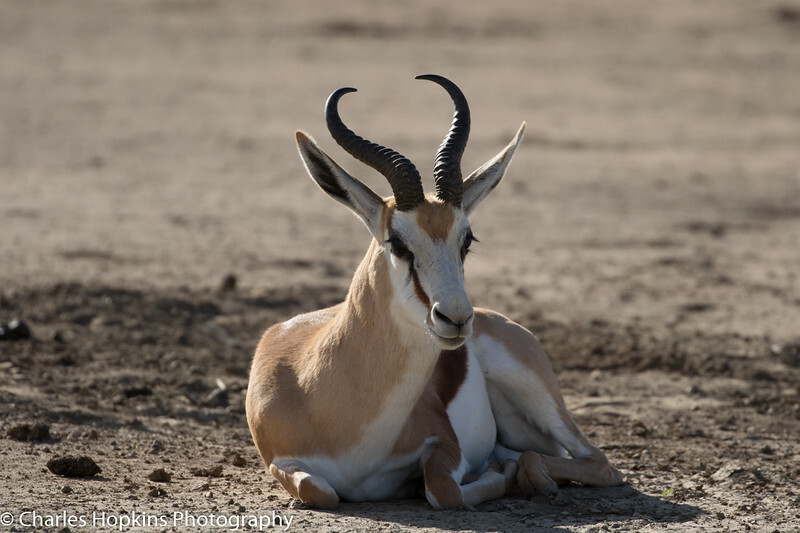 Solitary male springbok, are often seen in the riverbeds, are territorial males in prime breeding condition. they will mate with the female herds passing through their territory while fighting off any males who dare challenge their dominance. Source: Kgalagadi official information guide updated 2007.